Serious human rights violations, including some which constitute crimes against humanity, have continued to be committed in Burundi, in 2017 and 2018. 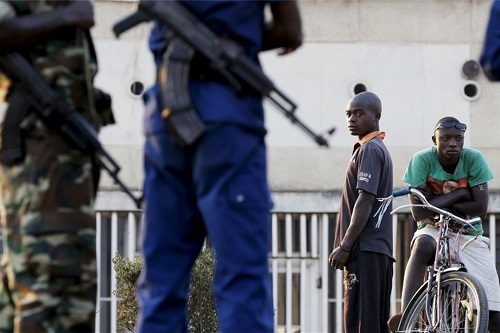 In its report, the United Nations Commission of Inquiry on Burundi describes summary executions, arbitrary arrests and detentions, acts of torture and other cruel, inhuman or degrading treatment, sexual violence and forced disappearances. The Commission is also concerned with the shrinking democratic space in Burundi as well as the growing impoverishment of the population. The findings of the Commission are based on approximately 900 statements of victims of human rights violations, witnesses and alleged perpetrators of such acts, including 400 statements collected this past year. This year, the Government of Burundi has once again refused any dialogue and cooperation with the Commission of Inquiry, despite repeated requests and initiatives from the Commission. The Commission has established a list of alleged perpetrators of crimes against humanity. This list can be made available to any organ or jurisdiction tasked with carrying out independent and credible investigations on human rights violations and abuses committed in Burundi and which will guarantee the safety of the witnesses. The Commission calls on all the Burundian stakeholders concerned to put an immediate end to human rights violations and abuses. The Commission calls on the Government of Burundi to prosecute state agents and the Imbonerakure involved in these acts. The Commission encourages the Government of Burundi to “engage in a comprehensive reform of the judicial system, in order to guarantee its independence, impartiality and its effectiveness”, as well as reforming the security sector, responsible for numerous human rights violations.